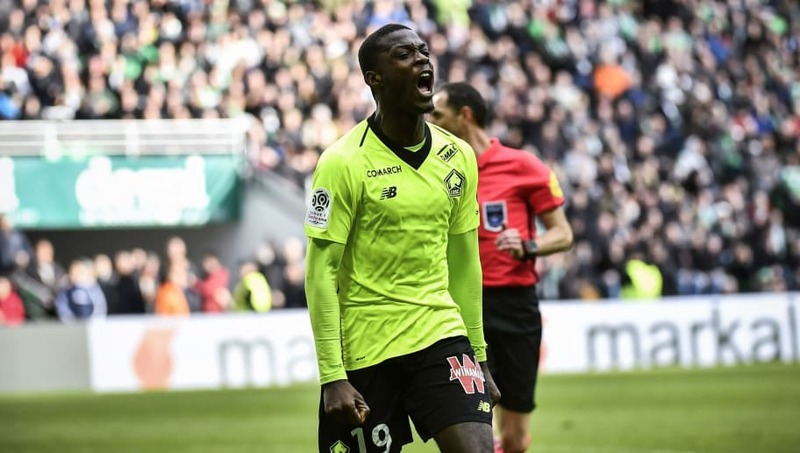 ​Bayern Munich appear to be close to securing the signing of Lille striker Nicolas Pepe, according to recent reports. It was reported that ​Bayern Munich had ​'opened talks' with Lille last week and now, according to ​Sport, it appears that the Bavarians are drawing closer to confirming the signing. As a result, Sport claim that Bayern are looking to secure a deal as soon as possible to prevent Lille from continually raising the Ivorian's transfer value and because the likes of ​Barcelona and Arsenal are also monitoring his progress. beIN Sports journalist ​Bel-Abbès Bouaissi has also claimed that Bayern have already submitted a huge transfer offer for Pepe in the region of €80m, adding that adidas also have a hand in the transaction. Speaking about his future whilst on international duty with the Ivory Coast, Pepe has insisted that he is unsure of what the immediate future holds and that he is currently focused on finishing the season strongly with Lille.